For someone who has such difficulties with the English language, it’s something of a shock for me to realize how many of my books have been translated into different languages. 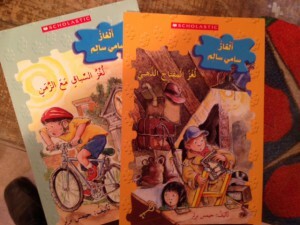 Yesterday I got two new ones in the mail: Jigsaw Jones in Arabic and Scary Tales in Indonesian. I always discover these translations in a haphazard way. They just come in the mail or, in many instances, never come at all. I gather that the Arabic translations of Jigsaw have existed for years. Who knew? Not me. They keep us writers in the dark; like mushrooms, we prefer damp, dank places. 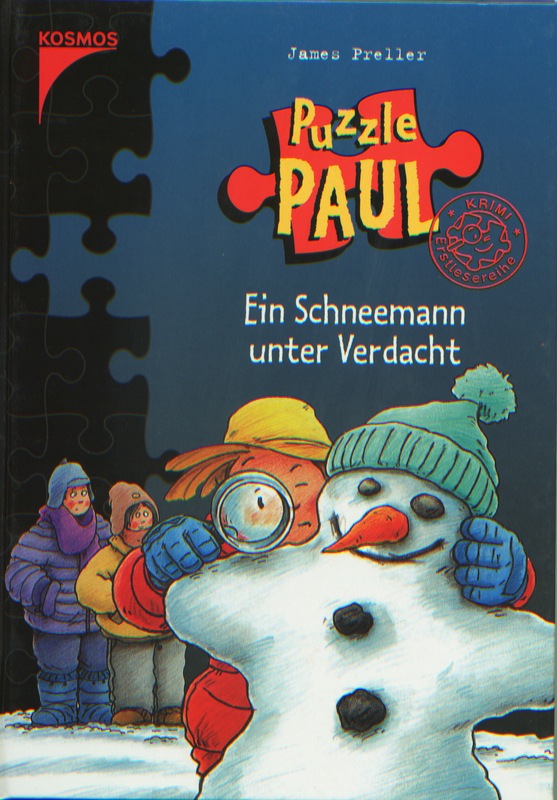 Today I warmed up the trusty, rusty scanner to share a random few translations with you. I have others in French, Italian, Portuguese, and more, but nevermind that. Look here . . .
Arabic versions of The Case of the Race Against Time and The Case of the Golden Key. Here’s a sample page . . . Cool, right? 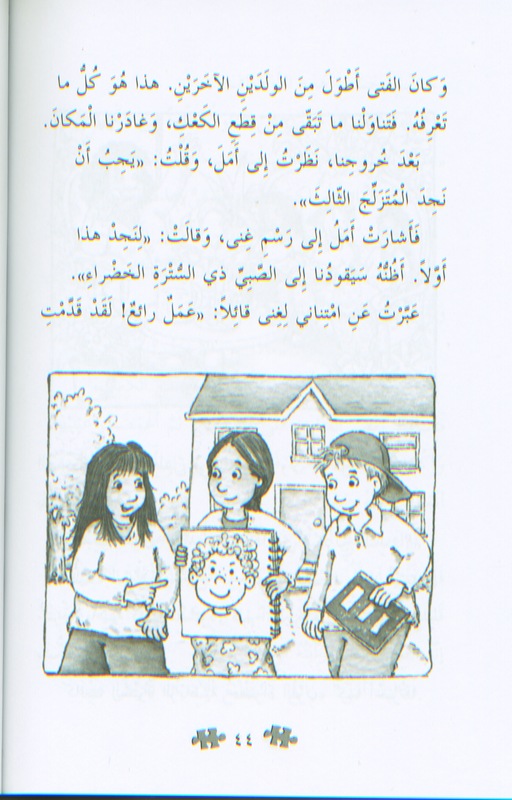 Here’s Geetha, the class artist, showing Mila and Jigsaw an artist’s rendering of the suspect. Illustration by Jamie Smith. Jigsaw Jones — I mean, Puzzle Paul –searches for a valuable coin in the German translation of The Case of the Christmas Snowman. Here’s the back cover of one of my Scary Tales titles, newly translated into Indonesian. 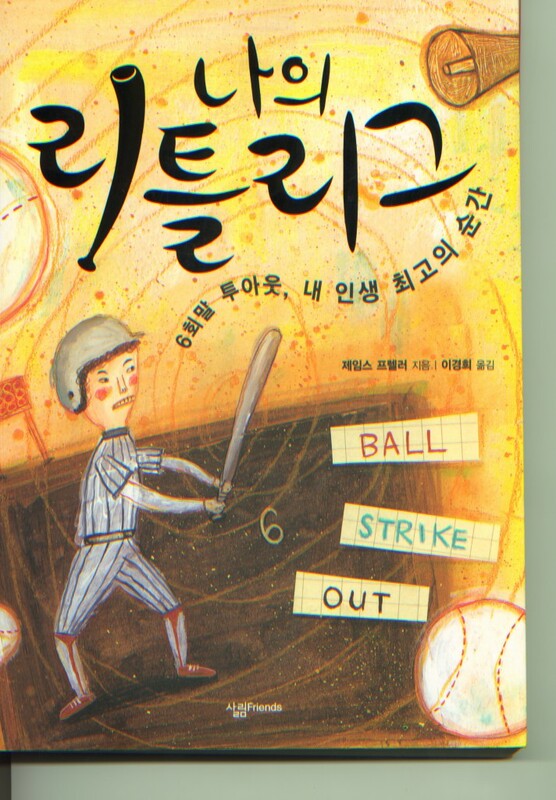 Six Innings, the Korean translation. Let’s see, how about an interior from the Spanish translation of Hiccups for Elephant? 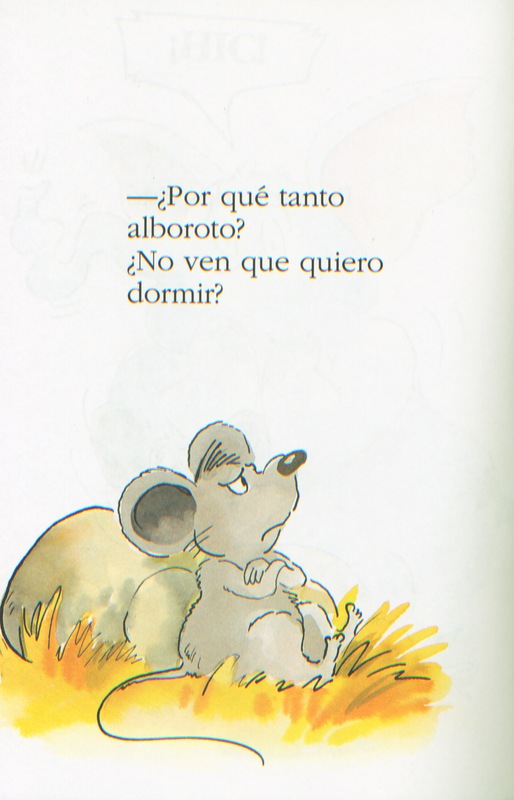 Poor Mouse was trying to sleep. Illustration by Hans Wilhelm. 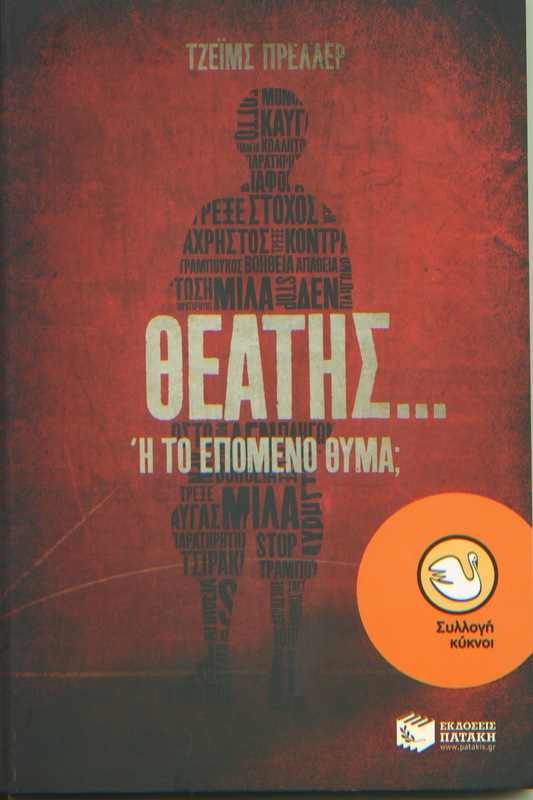 I’ll stop here with this one, a favorite, the Greek translation of Bystander. Isn’t it amazing? Aren’t I lucky? Doesn’t it just blow your mind to think about it, writing books that are read all over the world?